– The 1984 BYU team lead by Robbie Bosco won the 1984 National Championship after winning the Holiday Bowl despite beating a 6-5 Michigan team. This marked the last time a Non-AQ team won the National Championship (outside a few random computers which voted Utah the champion back in 2009). BYU at the time was part of the WAC. 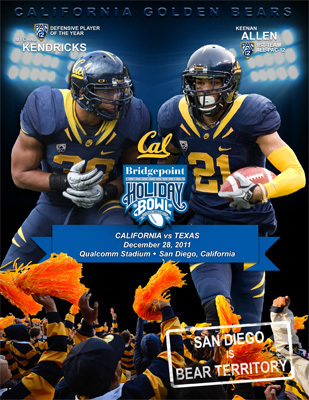 The Holiday Bowl was the best tie-in available for them which lead to reforms for the non-AQ schools’ bowl tie-ins. – BYU played in the first 7 Holiday Bowls. For those who thought BYU’s annual trip to Las Vegas (2004-2009) was long, this was a longer and probably far less exciting trips for the Mormons. – There have been 6 different sponsors for the Holiday Bowl, ranging from Shamu (Sea World), to Rental Cars (Thrifty), and a water softener company (Culligan). – Bridgeport Education (the current sponsor) offers online classes post secondary degrees including bachelors, masters and PHDs. They were founded in Colorado, but based out of San Diego now. – The Holiday Bowl has always been known for high scoring and exciting endings. The 2000 game (Oregon vs. Texas) and 2001 game (Washington vs. Texas) were both voted as one of the 25 most exciting bowls in the BCS era. 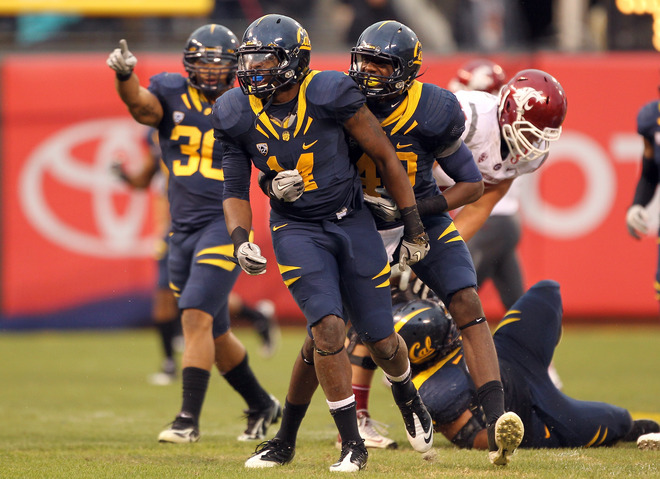 – The Big-12 currently holds the edge 8-6 against the Pac-12 in the Holiday Bowl. 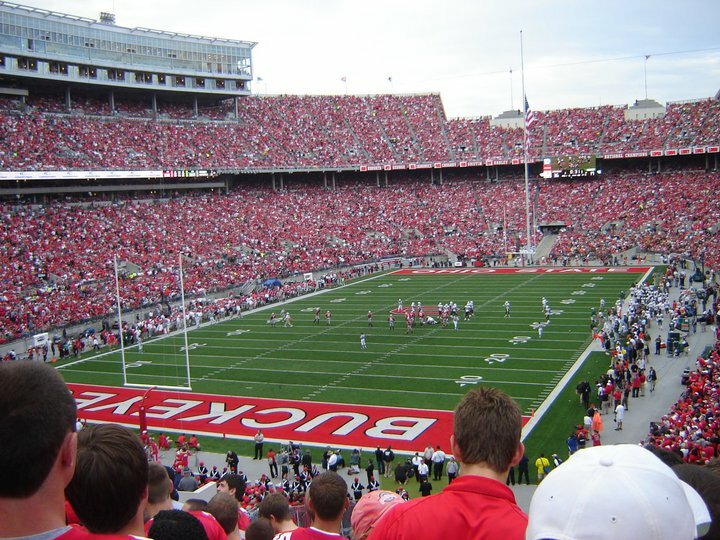 – Uniforms have played an important part in determining the result of the Holiday Bowl. Since 2005, the designated home team has won every contest. Texas is home this year unfortunately for Bear fans. In addition Texas is 2-1 in their home uniforms in San Diego. But if there’s a time to end the streak, this year would be a great year to do so! – We’ll see how much Arizona State has to play for after Colorado’s win today eliminates ASU’s chance at the Pac-12 Championship Game. – Cal looks great in their response drive. Great run by Isi. I’m surprised Isi attempted to reverse the field on that play, but it worked. Isi caps off a nice drive and runs it in to give the Bears the lead. – Craig and Mike keep mentioning about Zach Maynard’s accuracy is starting to get annoying. – Trevor Guyton with a great strip and Kendricks with a big run back after special teams rears its ugly head again (ALLLOOOMMAARRR?). – I like the aggressive play calling and going for the bomb right after the turnover. Great read by Maynard to get the touchdown. Love to see more zone read plays on 3rd and short. – Great analysis by the announcers pointing out how Cal is playing with 4 down linemen because of injuries to Wilkerson and Whiteside. – Steve Williams is having a rough night, gets beat on an out route for an ASU touchdown. – Cal can’t get the stop on 4th and 10 (good aggresive call by Erickson in my opinion). Negates a nice deflection by Marc Anthony the play earlier. – Great 3rd down conversion by Cal, to overcome a 10 yard holding penalty. Miller with a big catch. Would like more plays thrown to Miller. – Nice reverse negated by a block in the back followed by another holding call negating a nice screen play to Allen. – Nice interception, glad to get 3, would have been nice to get 7 to really put down the Sun Devils. – If Cameron Marshall can’t play, ASU will likely go to the air more like they did on the converted 4th and 10 (ughhhh why can’t we stop these?). Being the Sun Devils within 6. – Richard Rodgers probably tried doing a little too much so the ruling on the field of fumble might be hard to overturn. This is a huge play as it looks rather ambiguous whether he was down. 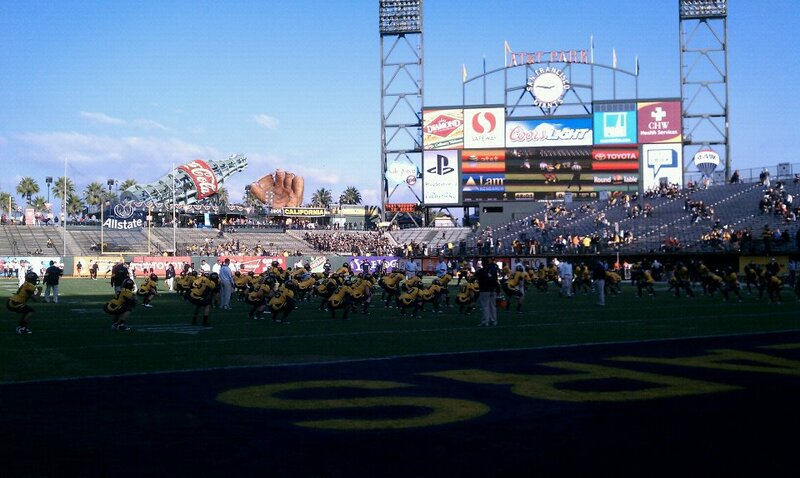 Cal defense needs to come up big here and hold them for a field goal attempt. – Cal down 1. Cal let’s a couple of golden chances to keep a big lead go by them (score a TD, 4th and 10, secure the football). – I’ve been impressed with how well the Bears have been running the ball. Isi finally breaks a 40+ yarder. 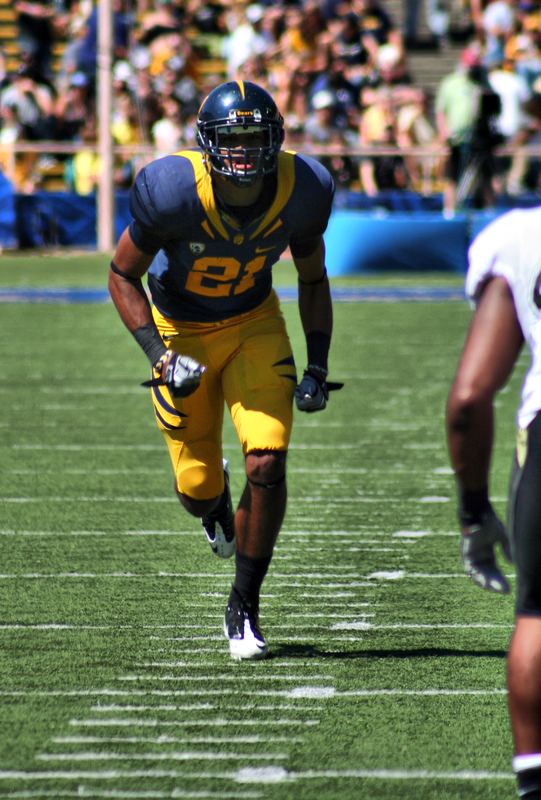 – Cal’s defense getting great penetration. So far 3-points on the defense doesn’t seem too bad. – Seems as if Maynard is spreading out the ball from his usual two targets. – Great throw by Maynard to put the Bears on the board. Calvin’s first touchdown in his 5th year, congrats! – Oregon State seemed to move the ball well this possession, but was greatly slowed by a 15 yard chop block. – Even with a poor spot, Bears have been moving the ball extremely effectively on the ground this play. Bears are able to get over their holding penalty to sustain the drive, something the Beavers were not able to get over. – Beavers raise the stupid false-start penalties from the Bears with another 15-yard unnecessary roughness penalty. Maynard then busts out a great option run for a Bear’s touchdown! Those penalties, erase a lot of time and leave the Beavers with only about a minute to do something. – The drag routes are absolutely killing the Bears on this drive. Marc Anthony with a nice deflection. Jeff Tedford’s icing attempt fails again. – C.J. Anderson has ability to break arm-tackles up the middle and came up with a huge reception before Maynard hits his brother on a nice seam route. 1. Offense is back on the right track, but still needs work – It would be nice to see Maynard spread the ball around a little more. The game today is a reasonable representation of his usual passing arsenal. Lots of throws to his brother, some throws to MJ1, and then a throw here or there to a tight end who is projected to be in the NFL. I know the nasty weather today probably forced a lot of conservative play calling, but it would be nice to get more sweep passes to the running back, short stick routes to other tight ends, or bubble screens to other wide receivers like Clay, Calvin, or Edmonds on the outside to break away from the conventional run-run-pass Jeff Tedford offense. As for the running game, it’s great to see carries getting split among Sofele, Anderson and Manual. Having a bruiser back for the goal-line and 3rd-short situations will prove to be a handy commodity moving forward for the Cal offense. 2. Defense proves its flexibility – For the most part, our corners did a good job shutting down Marquess Wilson, who one day will be playing on Sundays, while also getting pressure on Wazzou’s qb with just the front four. We knew our defense against the run was going to be rather stingy this season, but the secondary really stepped it up this game. We’re also seeing a lot more creative blitzing this year from Pendergast while has allowed for our young secondary to look a lot better on paper. Moving forward, our linebacking corp will get better, and it’s just a matter of time developing Steve Williams and Stephen McClure into shutdown corners will opposing offenses find it to be hard to move the ball on our defense. 3. Motivation moving forward – Obviously we’re in the same situation as we were in last year. Three games left: need to win one for bowl eligibility. Unlike last year though, the most likely game Cal can wins comes up first, as opposed to last on the plate. The ambiance last year with the horrid weather, placement during Thanksgiving weekend conjuring with Senior Day, and the last day of Memorial Stadium did not seem to bode too well and resulted in the disappointing defeat. 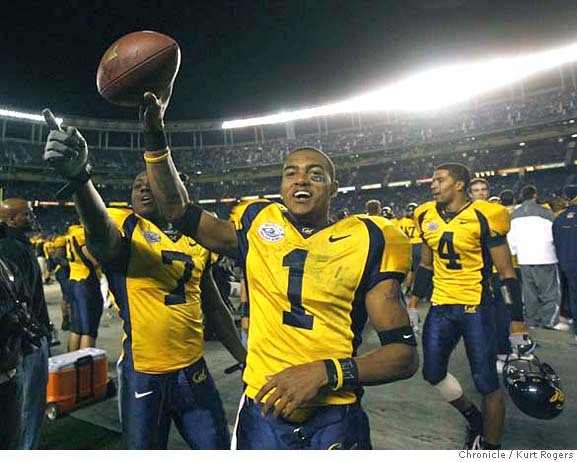 However, this year we’ll get a struggling Oregon State team coming into our house though keep in mind, we haven’t beat these guys in Berkeley in a while. 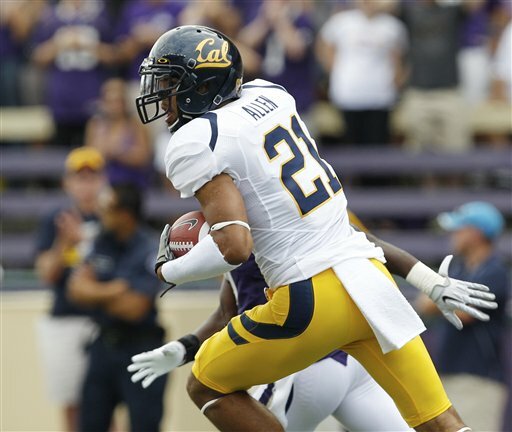 With the bitter taste of having to study for finals with all the other students still fresh in a lot of Cal football player’s heads, I’m sure that will serve as good motivation to get the thorn that is the Beavers out of our behinds.